Offers 1,526 litres of luggage space. 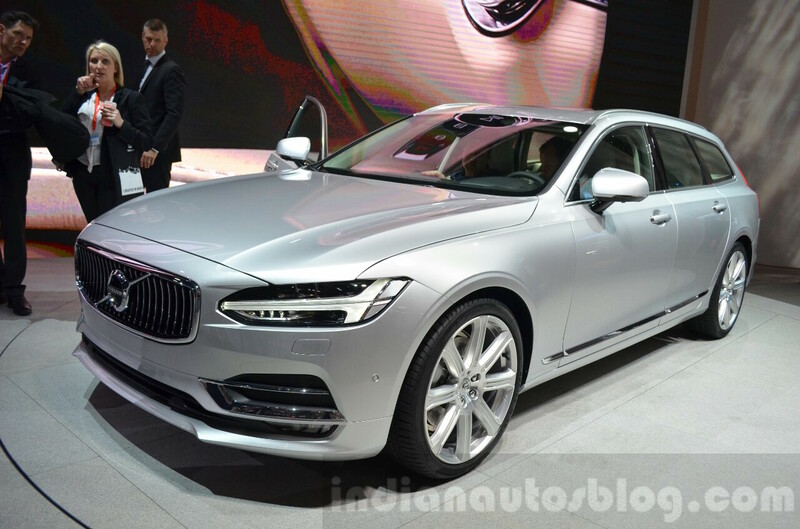 The Volvo V90, the estate version of the recently introduced Volvo S90 luxury saloon, is the successor to the Volvo V70 and celebrates its motorshow premiere at the 2016 Geneva Motor Show. It is the Chinese-owned Swedish brand's third model to be based on the SPA (Scalable Product Architecture) modular platform and feature the family design language after the Volvo XC90 and the Volvo S90 saloon. The Volvo V90 is 4,936 mm long, 2,019 mm wide and 1,475 mm tall, and has a 2,941 mm-long wheelbase. Up front, the Volvo V90 looks identical to the Volvo S90. The side profile is identical as well, save for the structural changes needed to convert the saloon into an estate. 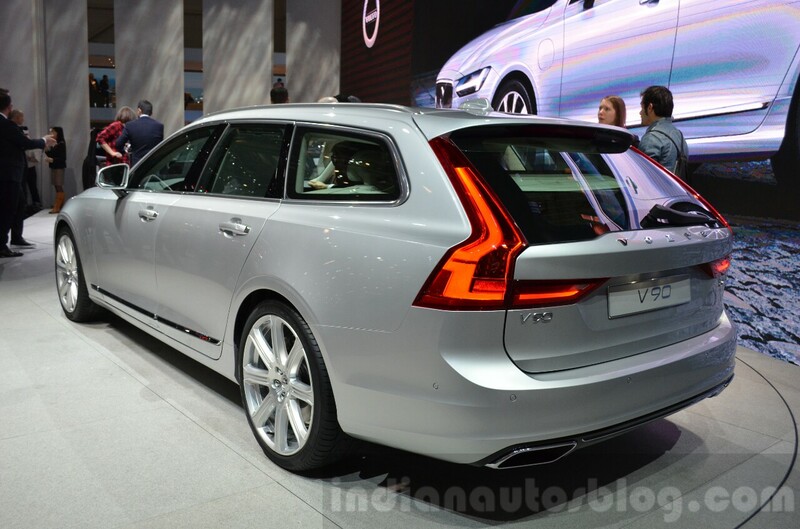 The rear-end features distinctive bumper, and taillamps which taillamps are similar to those seen in the Volvo Concept Estate. The interior remains unchanged from the saloon version. Thanks to the bigger rear section, the luggage space has been increased to 1,526 litres.